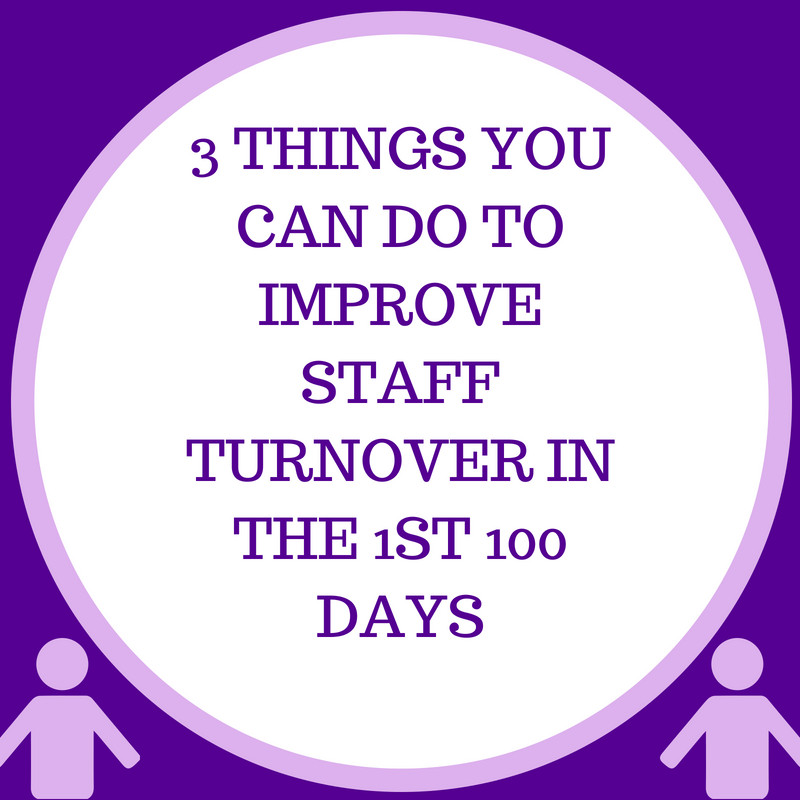 The first 100 days statistically, is the period known as the highest staff turnover rate. Do these 3 things to make sure you don’t turn over your new hire in the first 100 days. The transition curve is when a new employee joins your team, it’s a big change in their life and their work, it’s a shift in their status quo, a complicated period of sometimes intense change that initiates a psychological process which is known as the transition curve. Every employee goes through this and if you have a trained member of management to identify where your new employee is in the transition curve and know how to respond and support this, this will drastically improve your employee retention rates. So not just the first day, the first three days, the first two weeks, the first month but actually the first 100 days. Your mentorship, training and intensive management need to span the first 100 days and this will avoid an employee having the sink or swim mentality that is often found in companies with high staff turnover rates. It’s important that you make yourself available for your new hire to talk to and not just in the first few weeks, if anything the last six weeks of those 100 days are more important than the first four weeks. You need to be there for your new hire to talk to ask questions and get reassurance on. This will help keep you in the loop of how your employees feeling and allow you to make decisions based on the information instead of gut feel. More detailed information on the transition curve and other tips for retaining your new employee can be found in my white paper. Please click here if you would like a copy of this. I’d love to hear your experiences of your 1st 100 days with a new employer. And if you are an employer with great staff retention rates please do share what you do in the 1st 100 days to make a difference.